We're all too used to tracking and analysing our heart rate data here at Wareable, but it usually that stops at just that - the data. New hearable tech company Actywell wants to take that data and use it to control your music, matching beats to your beats, to give you a better soundtrack for your workouts. Called the One, the earphones contain a heart rate monitor and motion sensors, which will work with an app that does most of the heavy lifting. Actywell is leaving the 3.5mm headphone jack in the dust, connecting straight through the iPhone Lightning connector, which means these are wired. 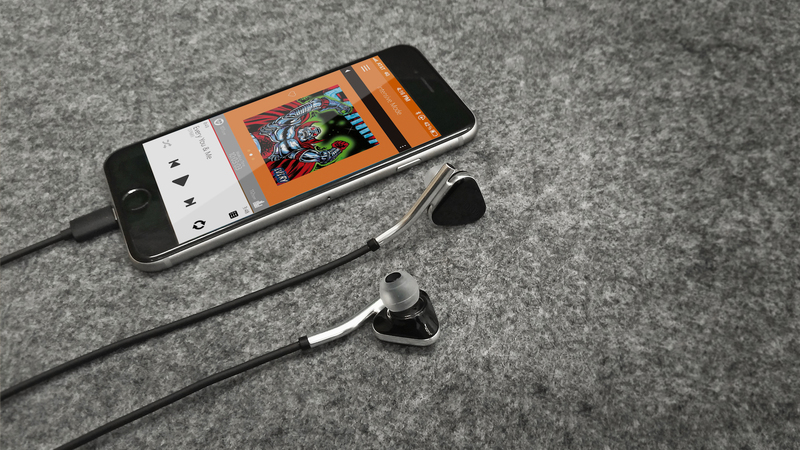 The benefit of doing it via Lightning is that you'll never need to charge the earphones themselves, which deliver 24-bit 48Khz audio. Meanwhile the companion app has an API that access all your offline music, working with third-party apps including Spotify and Soundcloud - and extracts the metadata of each track to determine its suitability. The app will continue to shuffle your music during your workout, selecting tracks for building up intensity - and then perhaps something more calming if it detects your heartbeat getting a bit too high. There will also be a mode for meditation that will try to keep your heart rate low with the right sequence of soothing tunes. Like many others, Actywell spent many months watching to see what Apple might do with the Lightning port. Killing the headphone jack wouldn't affect the One, but the team became alarmed when word of switching to USB-C started swirling. However, when they saw some of Apple's developer code earlier in the year, they could see Cupertino was going to upgrade Lightning, not remove it, and that they were on the right track. "It wasn't until we understood how iOS was changing the conditions with audio and lightning, that we realised there was more we can do here," Edd Gash, co-founder and director, told Wareable. "The heart rate tracker is extremely low-power consumption," he said. "We stumbled on this idea: the first heart rate monitor that you don't have to recharge." As well as heart rate, the earphones will also measure speed and distance, so they'll also double up as a fitness tracker. Working with Android is another matter, and will come a bit later. Actywell is looking to develop a USB-C version of the One, but because Android is not uniform that means different levels of coding to deal with - which makes it trickier to do. The Android versions will ship in March 2017. The Kickstarter for One is now live, with shipments aimed at December. Early backers will get the earphones for $99, while Gash tells us they're looking for around $199 when they're available at retail.